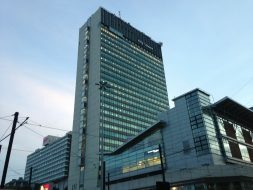 About Manchester is one of the region’s premier news and current affairs websites. 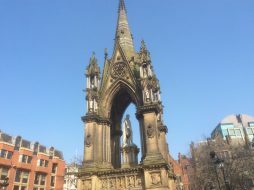 Founded in 2014, it has the reputation of producing engaging and informative journalism showcasing all that is good in the Greater Manchester region. With our publication updated on a daily basis by our editorial team, we provide an eclectic range of latest news, and sport, what’s on and leisure as well as features and interviews, business, culture, science and technology and nostalgia, which examines the issues of the present and looks to the future. We have a potential reach across all our publishing channels of over one million people per month. We also send out a weekly newsletter, with a round-up of all the week’s top news, comment and what’s on. The publication will contain static pages updated regularly about the region, where to go, where to stay, current vacancy advertising and homes to rent and purchase. From the autumn of 2017, About Manchester will publish a thirty six page magazine with a contemporary look and feel, which will be entertaining, newsworthy and thought provoking, tapping into a market that is currently under served. About Manchester targets a variety of readers with a broad range of ages and interests, offering them an exciting and interesting read. Our aim is to provide local businesses the opportunity to grow and enhance their business without stretching the budget. Associating with About Manchester is the best way to maximise your companies brand and online presence. Our statistics show that once our readers land on the front page of our website, they stay on the site and engage with many other articles unlike some of our competitors. There are a number of ways that we can offer opportunities for partnership through content marketing and sponsorship. submit sponsored posts or content marketing (admin fee from £90) – visit our Guest Post page for more info. If we like the article, we will boost it on Twitter and Facebook to reach more people. We currently spend 1/3 of the publishing budget to boost – therefore a £75 spend would have £25 put back into boosting the post to reach an additional 50K people. Coming up in late 2018, there will be opportunities to partner us in our new printed magazine. To become a sponsor of About Manchester please contact Digital Blanket Ltd on 01706 600 742 for more details. Many rates can be discounted depending on the levels of activity.